Code review without the hassle. 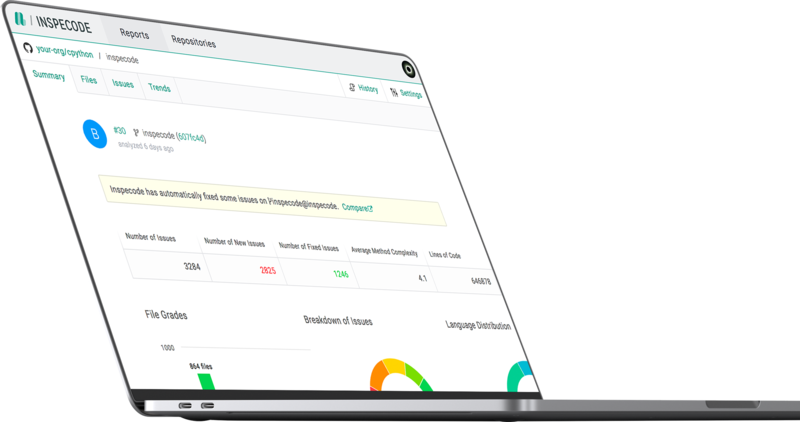 Get code shipped faster and product to your customers sooner with continuous code inspection and automated code correction. GitHub and Bitbucket integration, custom error thresholds allowed to merge PRs, and parralelized analysis means dramatically more efficient code reviews. Inspecode gives you a detailed report card of code quality and even automatically creates pull requests to fix issues. Inspecode allows developers to spend less time on code review, and more time delivering product. This means higher quality software getting shipped faster. Parallelized code processing for accelerated speed.